Every construction business owner wants their construction site to have a strong foundation but isn’t it important to be equally strong in the cloud as well? What do I mean when I say to be strong in the cloud? Well! I mean using the tech appropriately for your business. And I want to talk about the construction business in this blog. The USA is one of the major construction markets worldwide. It’s construction expenditures have reached over 1,162 billion U.S. dollars. Not just this, many new construction projects are coming on stream in New York, which leads the list of construction expenditure in the US cities. With such a high rate of growth, the construction industry is somehow in a huge financial and time loss. WHY? Are you aware of the fact that the average value of paper per employee is $80? Such high expenses are further leading to a high loss. You will further read more about the problems faced by the entrepreneurs and the solutions they have been adopting in the past years. In the recent few years, we have seen the revolutionized construction industry where the business owners have started prioritizing technology over everything else. But there are still many entrepreneurs who are in the process to adopt tech or are partially unaware of what tech can do to their business. Even though the tech and software are prevailing in construction, the major issues like skilled-labor shortage, high competition, tight margins, and increased risk continue. So what exactly can solve all these problems? Only the rise in productivity can solve all of these problems. While the traditional construction software fails to solve the productivity problem, the mobile construction apps, in contrast, resolves the primary pain points pushing the construction industry upward. It also has been identified that there is a vast gap between the existence of mobile construction apps and the utilization of such apps. Therefore, the objective here is not only to build new software but also to fully utilize the existing software. You can soon check back at the TechAhead blog to view the full list of best construction mobile apps. Let me share a common example of the most basic entity used in the construction industry, paper. The average value of paper per employee is $80. It takes an average of 20 minutes to find a paper document. Furthermore, if there is any loss of paper due to fire or flood, 70 percent of businesses will fail in three weeks. 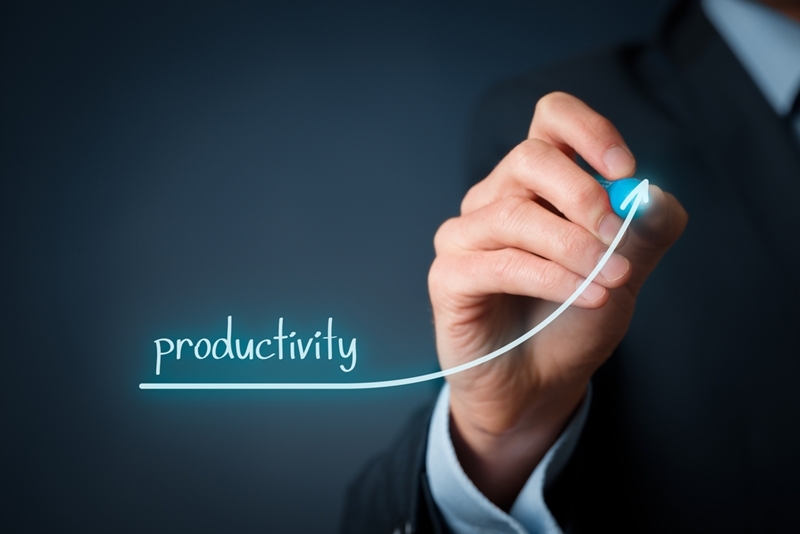 Paper increase liability, decrease productivity and efficiency. If you replace the paper with a Mobile App, you can save ton lot of money, speed up the process to search any record on the fly and all your data is safe on some cloud server. The mobile apps are now being popular by its power of increasing productivity. There are various construction firms which have experienced enhanced job site efficiency, quality, and productivity by integrating smart or mobile tools. According to an online study, about 93% of the construction companies agree that digitization is going to influence every one of their processes in coming years. 36% of construction firms use 5 or more mobile business apps to complete projects. Mobility stands at number one technology trend that nowadays construction companies are focusing. In a survey, over 600 construction professionals from small and midsized firms, over 80% think that mobile technology is a high priority. As you have read in the beginning, the expense that paper create is on a different level, but still, 40% of construction companies are using paper plans on the job. If you replace papers with apps, you will witness the high level of increase in productivity. The Custom mobile app development is less expensive and time-consuming than in the past. However, only 29% of business owners use apps routinely on all their projects. In the 2016 Global Construction Survey by KPMG, 77% of contractors and 65% of owners use mobile technology to promote the completion of their construction projects. Most of the companies control a team at the office, but those numbers are too small when compared to those out in the field. Being able to tap into the cloud allows all team members to access files, download changes and view data on any device–even when they’re on a construction site. Big data and business intelligence has grown tremendously and has finally met the construction industry. Earlier the reports were created only at the end of the day. But with apps managers can use real-time reporting tools on their phones or tablets to get updates on field problems, team performance, and project costs. It will help project managers to predict any required improvements to take immediate action on primary issues. Ultimately all team members will be able to access analytics, be it on the field or the office. You would be surprised to know that 77 percent of megaprojects around the globe are 40 percent or more behind schedule which leads to an 80 percent increase in costs. With the widespread mobile app culture in the construction industry project, stakeholders can access documents, and other information quickly with no wastage of time. Therefore, Mobile apps are becoming a significant solution for the construction industry as it not only increases the efficiency but also saves time. 80% of professionals use mobile devices for project management. With devices like tablets or maybe just phone, supervisors can register all the data of their project and upload it to their respective corporate systems. This allows the team members on the field and the members at the office to be on the same page and keeps both of them updated. The benefits don’t end here; there are more opportunities to be highlighted. The managers can delegate different roles to the workers, and the changes can be updated right away, they can request for repairs of equipment immediately. They can report incidents quickly. To be more clear, mobile apps make construction teams more connected, productive and alert. I am sure you have been through days when the employee work hours could be only tracked on paper. And how frequently you faced flaws like papers lost, equipment missing? Huge loss of money. 65% of Construction companies say that the first reason behind high costs are ‘reworks.’ And the biggest reason behind rework is the challenge of sharing information among all people involved. Construction companies that have started using mobile apps have realized both on-site, and office staff has instant access to the same information. This avoids miscommunication and saves the loss of money. The use of paper for safety inspections has been increasing a firm’s liability risks. On papers, it gets harder to check whether a safety inspection happened at the relevant time and place. If there is a safety issue, a paper will take days to get the report to the right person, which increases the risks of accidents and injuries. With mobile apps, you can create a patterned process of essential data collection. The automatic date and time stamps prove that when an inspection took place and people can also take photos to provide further visual information for the backup of an inspection. The most famous feature of all is the digital signatures. No more multiple rounds of signing, now you can use the employee’s thumb. Technology has been growing remarkably over the years. Various industries including construction adopt it and are growing tremendously. The use of mobile apps have saved a lot of money and time and marked a significant growth in the increase in productivity. Every business owner has their requirement and expectation out of a mobile app. Here, I would like to introduce you to TechAhead, Global leaders in mobile app development. TechAhead has built various construction management and field automation apps and is leading the industry by providing multiple benefits to its clients. Click here if you want help to develop a mobile or web app for your construction business. How Is a Construction Management Mobile App Better than a Web App?